Today in Masonic History Johan Zoffany is born in 1733. Johan Zoffany was a German painter. Zoffany was born Johannes Josephus Zaufallij on March 13th, 1733 in Frankfurt, Germany. In the 1740's he got his first work in the art world when he studied in a sculptors workshop. In 1750 he traveled to Rome where he studied with Agostino Masucci. In 1760, Zoffany traveled to England. There he got a job with a clockmaker painting small vignettes on to clocks. By 1764 he was enjoying the patronage of the royal family. King George III and Queen Charlotte commissioned him to produce various paintings of informal scenes. This included Queen Charlotte with Her Two Eldest Children, a painting of the Queen and her two oldest children playing around her as she sat at her toilette as the two children played nearby. He also became popular with the Austrian Imperial family and was created a Baron by the Empress Maria Theresa. 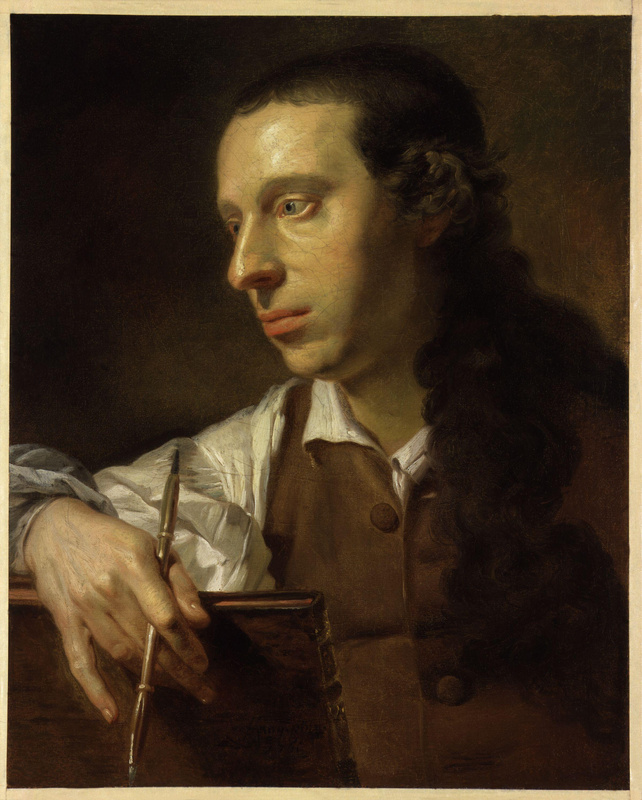 In 1769, Zoffany beame a founding member of the new Royal Academy. Sometime after that he lived in Lucknow, India. On his return to England he was shipwrecked with other members of the crew. As the story goes the survivors held a lottery in which the loser, which turned out to be one of the sailors, was eaten. This led to William Dalrymple to descibe Zoffany as "the first and last Royal Academician to have become a cannibal." Zoffany enjoyed popularity in England with paintings of prominent actors and actresses. This included David Garrick who is believed to be a mason, and one of the most famous actors of the time. He also is credited by some for creating a what is called a "theatrical conversation piece." These would be informal paintings of a group of friends or family portrait. In the later part of his life, Zoffany created large paintings with huge casts of people. One of the principal examples of this is The Tribuna of the Uffizi. The Tribuna of the Uffizi, not to be confused with the painting, is a room in the Uffizi gallery that is octaganol in shape. In that room paintings were hung on the high walls in the room. The paintings were stacked all the way up the wall. In his painting he moved several other objects into the room and filled the room with individuals making the room feel cluttered. Zoffany traveled to Europe and India throughout his life. He largely remained in England and passed away there on November 11th, 1810. Zoffany was a member of The Old King's Lodge No 28, London, England. He joined the lodge in 1763.